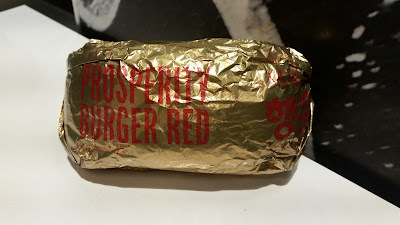 I tried the Prosperity Burger Gold during my last visit to Korea, at the same time I reviewed the McChurros. Now, you might be thinking, "he's reviewing ANOTHER Prosperity Burger? ", but this isn't the same black pepper sauced Prosperity Burger that Greater China and much of South East Asia sells either, nor was it even the same burger sold in Korea last year! The Korean name of this burger is translates to the "Lucky Burger" and Korea has been selling this during the lunar new year period for the last couple of years now, typically it's been a beef burger with garlic marinade. I've reviewed the original Lucky Burger before when my wife brought it back from Korea for me, but this year, McDonald's Korea changed it up by offering two different versions of the burger, "Red" and "Gold" variants. 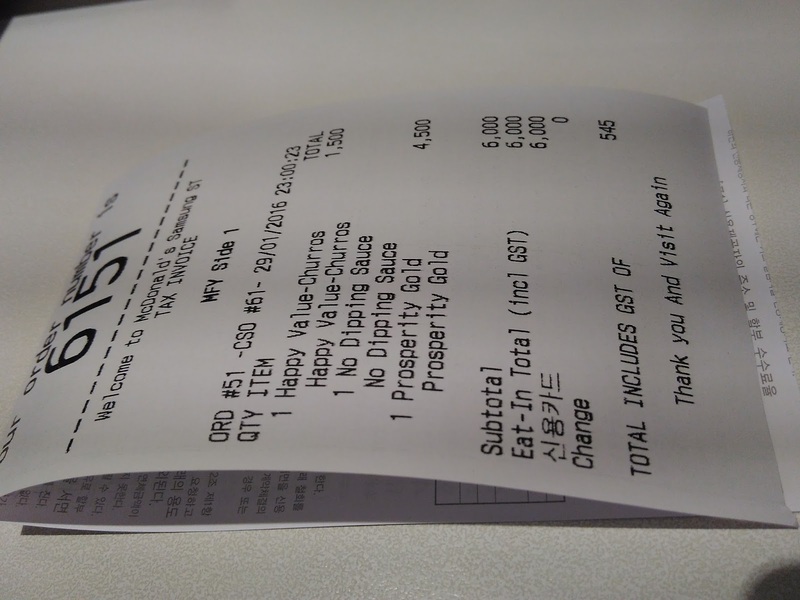 I only planned on trying a single burger this time around and I opted for "Garlic Gold" as the "Spicy Red" used the same sauce from the McSpicy Cajun which I've reviewed before. 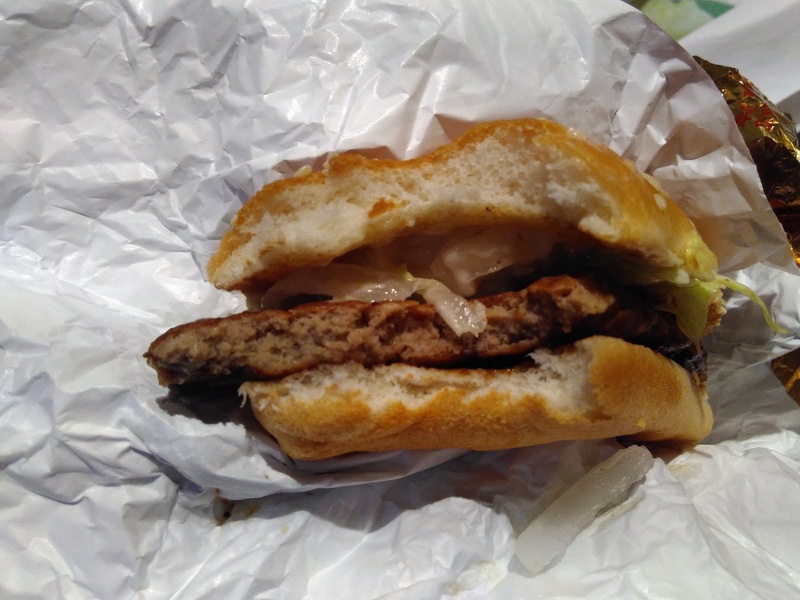 The Prosperity Burgers of old were also garlic based, but used a garlic marinade directly on the patty, and topped it off with standard mayo. This time around the dark sauce that graced the bottom bun was a zesty BBQ sauce and creamy sauce on the top was a standalone garlic sauce. I'm not generally a fan of burgers with two distinct sauces, but I found that this burger worked better than most, probably because neither BBQ sauce, nor garlic sauce are that out of the ordinary. 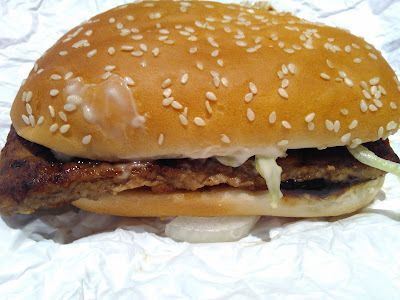 The BBQ sauce on the bottom bun was flavourful albeit a bit on the boring side and the garlic sauce on the top was indeed garlicy and not overly oily. The biggest surprise was that it wasn't mayo based, which is a plus in my book. The only real problem I had with this burger was with the patty. The patty was large, and even had McRib style grill marks on it, but I think however they pressed the patty to make it this unstandard shape, caused the meat to become a bit on the chewy side. 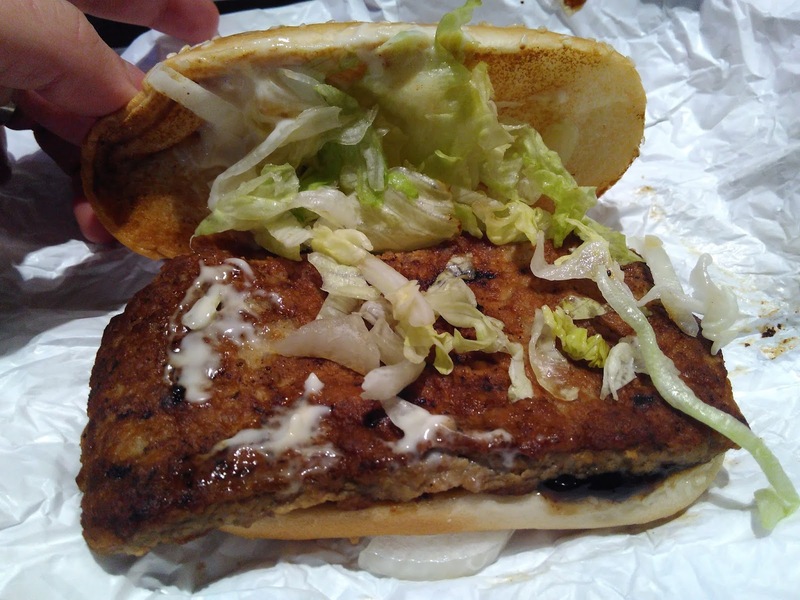 If you've ever had a McRib you'll probably know what I mean, but at least that's pork, so it's known to be tougher than beef. 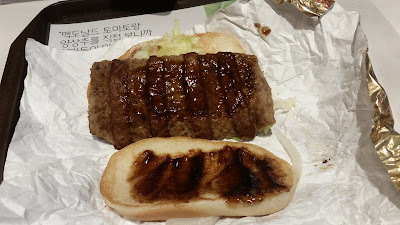 When I placed my order I had to wait a pretty long time before it was served, and despite the photos making it look a bit "old" the burger was served piping hot, so it certainly wasn't sitting around under a heat lamp, this was "fresh", but the beef was still tough. 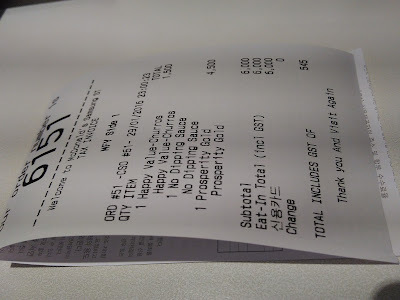 All said and done, this wasn't a bad burger, I finished it and felt satisfied with my purchase, it just wasn't all that great, nor was it anything special. After a spell of interesting promos from Korea, this brought me back to items I used to try when I lived there in 2009-2012, very middle of the road...just like its rating.